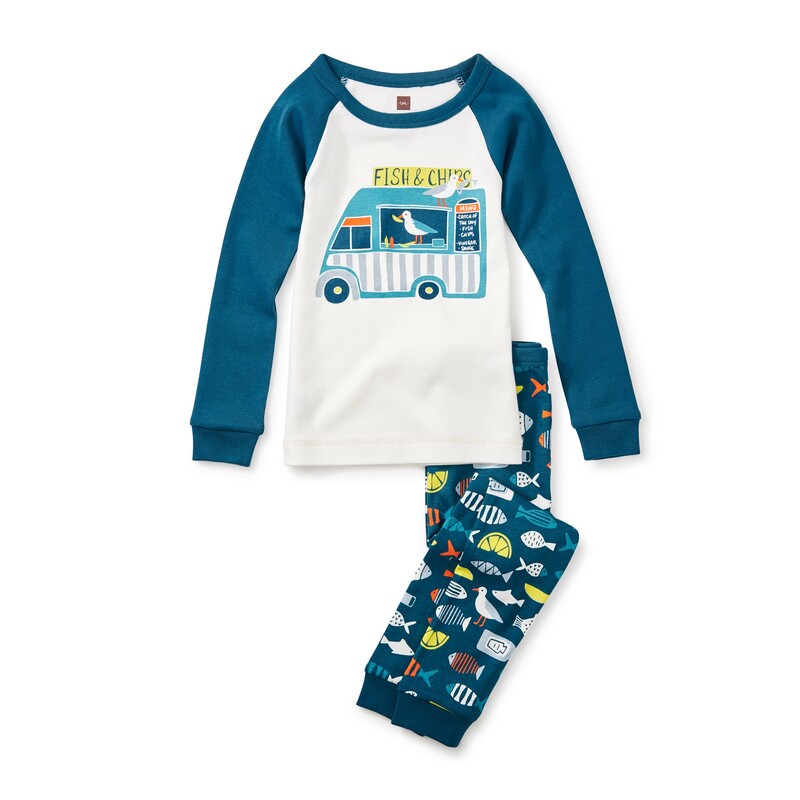 When bedtime snacks are on the menu, these fish and chips Pajamas are sure to hit the spot. 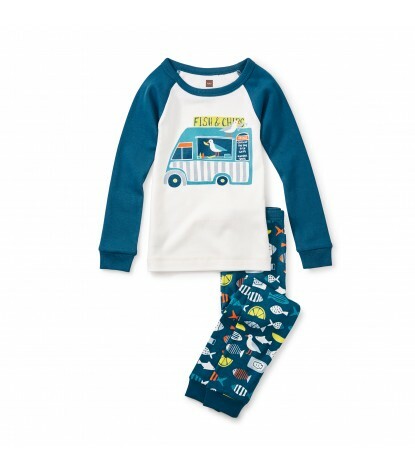 Inspired by the many great seafood restaurants along the Scotland coast, this set has a cool food truck graphic top and matching pants covered in bright fish. 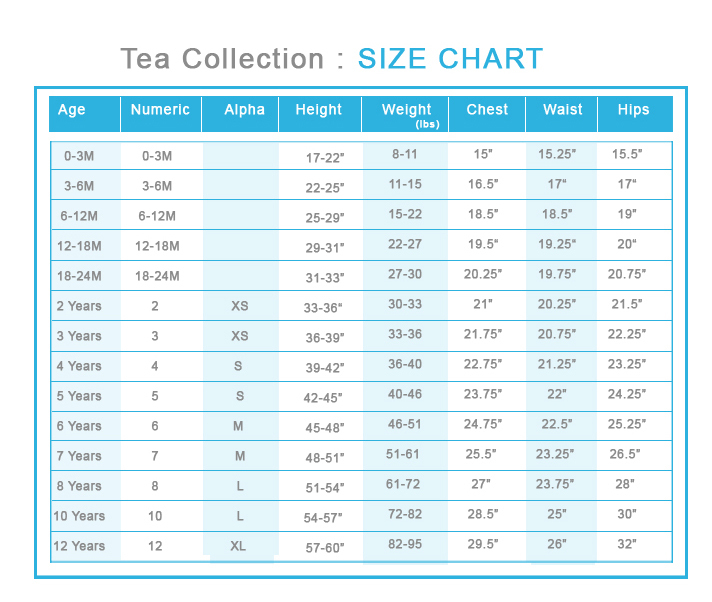 Slim Fit Conforms to CFR 1615 / 1616.